Yodiwo Cyan (https://cyan.yodiwo.com) offers a graph based IoT application development and deployment environment, which allows dispersed network devices of diverse technologies to be seamlessly connected with analytics, storage system, mobile and web application. Log into your Yodiwo Cyan account and click the Devices Manager navigation item in the navigation bar. 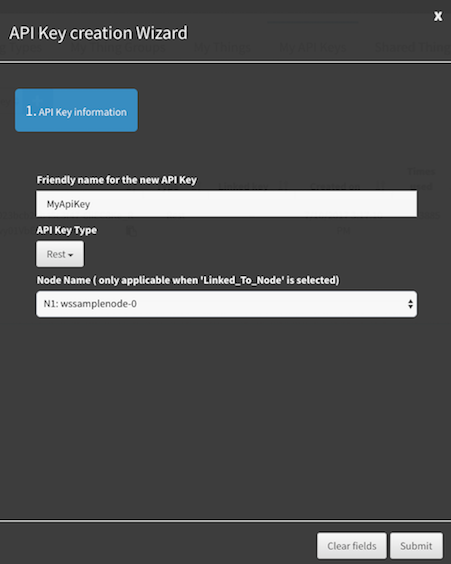 Then click the My API Keys tab and then the plus button next to the Create API key selection box. Specify a friendly name to identify your API key. Make sure the API Key Type selection is set to Rest. Press the submit button to create the API Key. Use the copy button to copy your api key to the clipboard. You will need this api key later when setting up your notifier. Exactly how you want to handle the forwarded data will be specific to your implementation. Here is an example graph that shows how to take the data from the Network Server (Rest In) and then pass the Request Body to a JSON Deserializer to pull out the JSON fields that you are interested in. 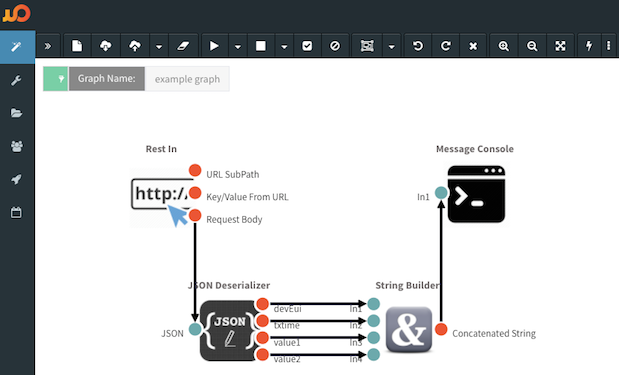 For simplicity, this example shows the devEui, txtime, value1 and value2 JSON fields get passed to a String Builder which builds a string to be passed/printed to the Message Console, but you could choose a different designer widget to perform a custom task, like push the JSON data to a Database or graph the data or forward the data to another service. NOTE: Make sure to save and deploy your graph each time you make changes to it. Here you can see the successful output of our example graph that prints the concatenated string to the Web Console. Use the API Key you grabbed earlier and enter it into the provided API Key Notification Target field.